In this exclusive interview for our Most Innovative Companies series, Reid Hoffman talks about college students, the different types of networks, and the future of LinkedIn. Anya Kamenetz: We’re looking at a graph of your personal social network, with clusters from various jobs, investments you’ve made, companies where you’re on the board–what are we seeing and why does it matter to you? 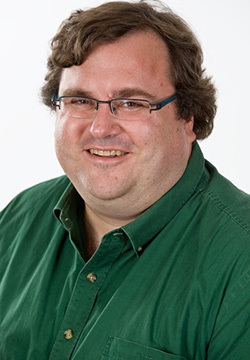 Reid Hoffman: I think about networks in three angles: outbound, inbound, and the atmosphere around you. and get introduced through your network? experience, who’d be willing to work with the Martin Luther King Center. and we’ll go grab a cup of coffee. leads do you pay attention to? They come in to you through information and referral. sonar pulse. And the pings you get back are useful pieces of information. these uses of the network? various conversations in threads. Various universities have alumni groups. know what they’re talking about, let me follow up with them. Your network as a CEO and VC is presumably exceptionally valuable. But what’s the value of LinkedIn to a 21-year-old undergrad? One of the challenges in networking is everybody thinks it’s making cold calls to strangers. Actually, it’s the people who already have strong trust relationships with you, who know you’re dedicated, smart, a team player, who can help you. Even college students have professors, family friends, alumni of their college. Your network is the people who want to help you, and you want to help them, and that’s really powerful. anybody. The actual answer is they might. Read more about LinkedIn or the rest of the Most Innovative Companies, 2011.